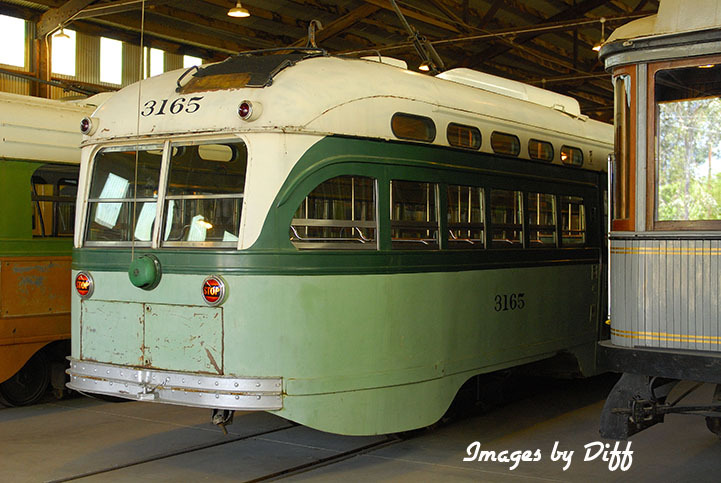 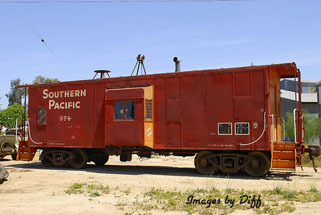 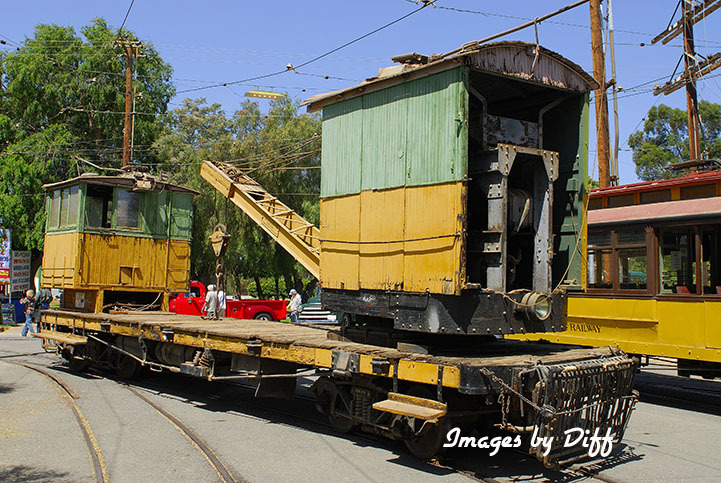 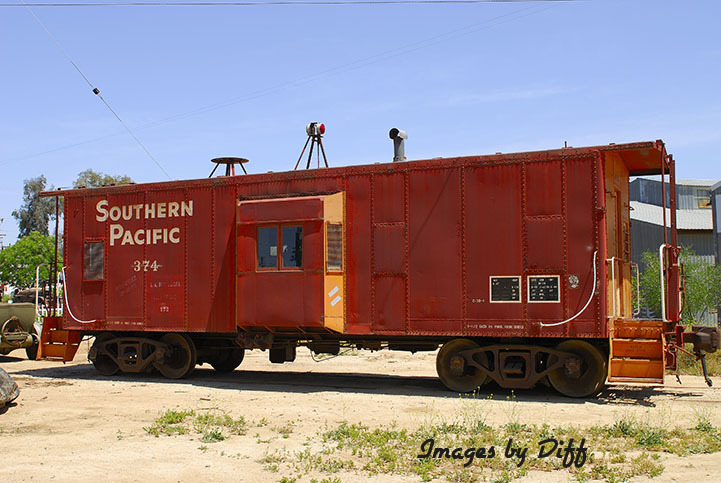 click photo to enlarge The Orange Empire Railway Museum is located in the Southern California city of Perris. 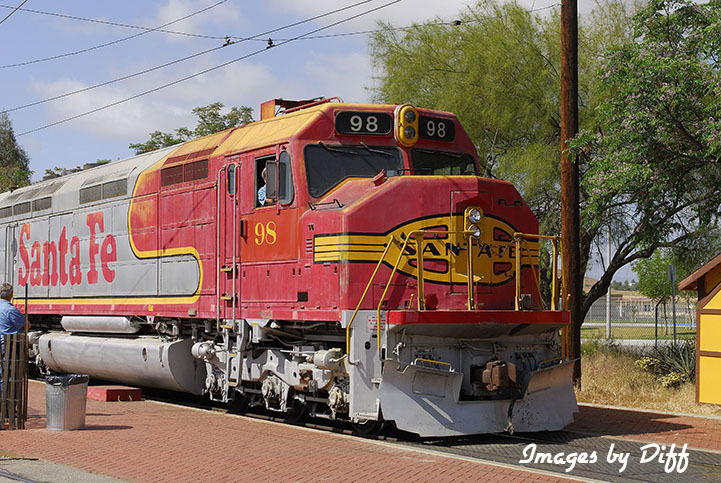 Their Mission Statement is "to preserve and display artifacts and documents of the rail transportation industry in order to educate the public on the technology, history and impact of the rail transportation industry in the West and more specifically Southern California." 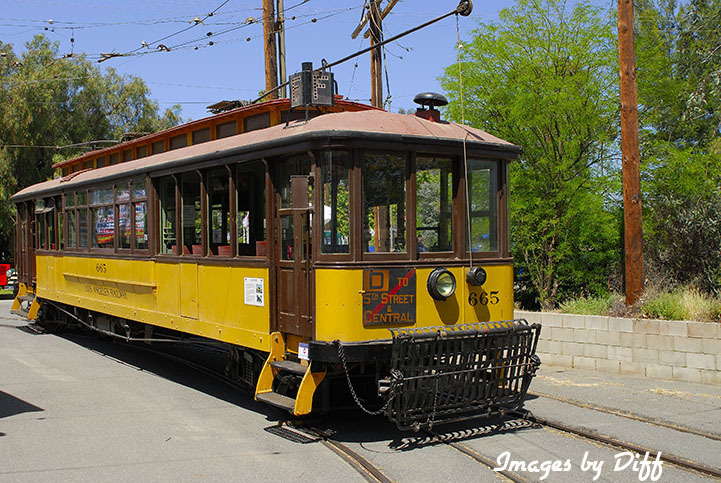 click photo to enlarge Not only can you view passenger cars, street cars, locomotives, and freight cars but you can also ride on them. 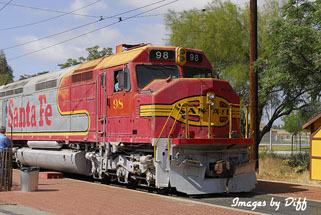 During the winter they also operate stream locomotives on weekends. Admission to the grounds is free but if you want to ride on the trains you have to buy a ticket. click photo to enlarge Many of the cars have been resorted and are kept in buildings so it was difficult to photograph them. 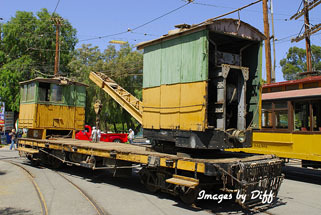 The grounds are quite large and there is a lot of rolling stock to see.